Just a quick note here to let you know that I am going to be speaking at an event tomorrow night (Thursday 21st July) at the Centre For Creative Practices in Pembroke Street in Dublin. 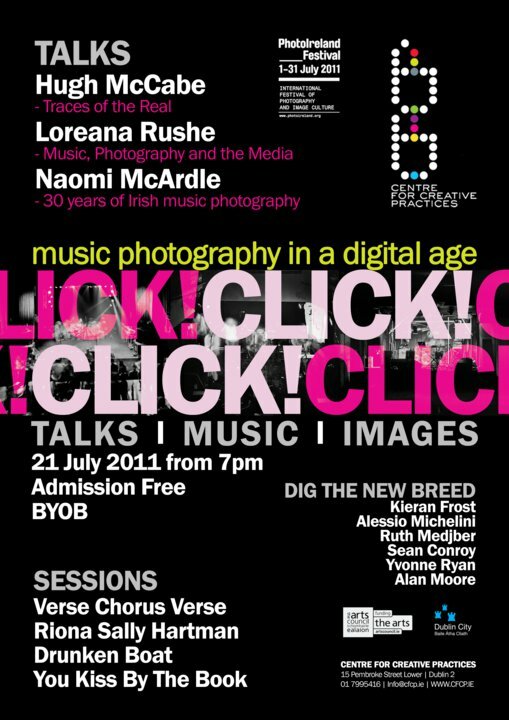 It’s called Music Photography in a Digital Age and was organised by Naomi McCardle as part of the PhotoIreland festival. Full information on the event is below – should be a good night. Thanks so much to Naomi for inviting me to be part of this. Some of Ireland’s most interesting photographers come together for a night of music, talks and exhibitions as part of the 2011 Photo Ireland festival at the Centre For Creative Practices, Pembroke Street, Dublin 2. Established Irish photographers Hugh McCabe, Loreana Rushe and Naomi McArdle will each present a talk on their specific interests in music photography while six hand-picked new talents will showcase a selection of work from their promising portfolios. There will be two photography exhibitions shown in the CFCP gallery and its magificent outdoor courtyard. Acoustic sessions from Riona Sally Hartman, Drunken Boat and You Kiss By The Book will provide audio accompaniment to these visual delights. 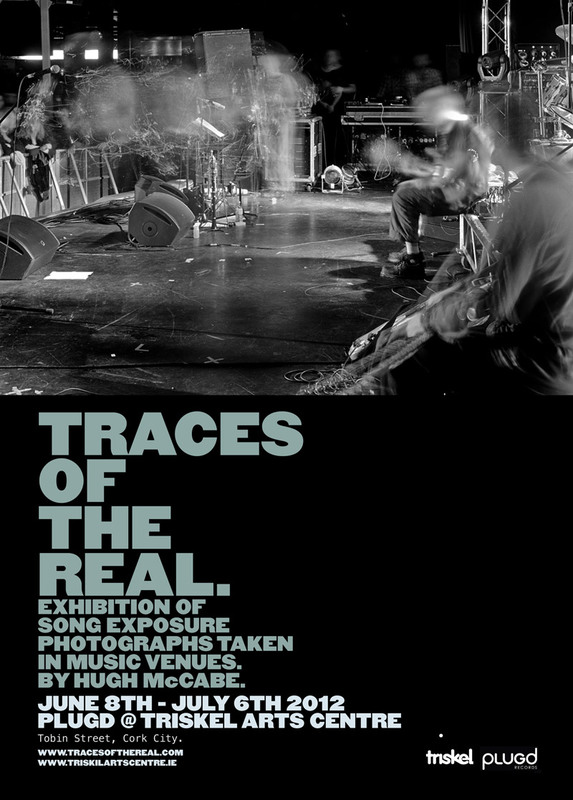 The ‘new breed’ of music photographers exhibiting are Alessio Michelini, Alan Moore, Kieran Frost, Sean Conroy, Ruth Medjber and Yvonne Ryan who have all made a name for themselves for their work with bands and venues across Ireland. Admission is free and the venue is BYOB, a winning combination! Hugh McCabe has developed a uniquely personal style of ‘song-exposure’ photography in his personal project Traces Of The Real. He will discuss the methods behind these distinctive photographs which successfully premiered with an exhibition at the Fumbally Exchange in April, followed by an extended run at Dublin’s popular new bar The Workman’s Club. Loreana Rushe is an artist and photographer who has worked with some of Ireland’s most exciting new bands. Now photo-editor for the popular music website State.ie, Loreana’s presentation will deliver her insight on working with Music, Photography and the Media. Naomi McArdle started out as a photographer for Hot Press magazine and is an active proponent of the Irish music scene. Her talk will govern an Exploration of Irish Music Photography, comparing the styles and methods of traditional and digital photographers. Since the release of her charming debut EP Sealegs in 2010, Ríona Sally Hartman has become known for her eclectic musical influences, and honoring them through a unique pop aesthetic. The eclecticism has allowed her to reach a very broad audience and play a wide variety of venues across the country. Drunken Boat started out as Brian Walsh’s guitar and synths project in 2007 has grown to a four-piece band with three albums and a huge, captivating sound stripped-down for this intimate, one-off performance. You Kiss By The Book is the shambling, endearing, pared-down musical project of Simon Dowling. Having produced a delightful debut in the 2009 album Bear Leader, Simon is currently putting the finishing touches to his second album, making this a great chance to hear his new songs.